Play poker for free with the best poker app for beginners. With clean graphics, easy-to-follow game play and lots of active tables, the completely free Appeak Poker app is perfectly suited for beginner and intermediate players learning the game of Texas Hold’em. 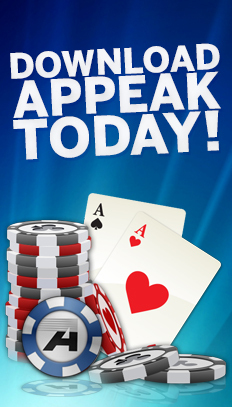 Appeak Poker currently has over 70,000 active users and over 1,000,000 downloads to date, meaning there’s never a shortage of games or players at all skill levels to test and improve your game against. Online Texas hold’emGet online with thousands of poker players and start winning today. 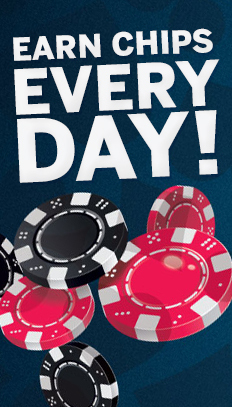 1,000 Chips DailyYou can never have enough chips in poker. That is why we offer a daily bonus! 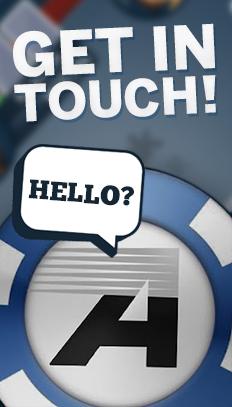 In-game ChatDiscuss poker hands, strategy or just chat with anyone at your table! 40+ Different AatarsMake your ingame avatar stand out and put a face next to the poker player. LeaderboardFighting to be the best Appeak poker player? You have competition. Play money onlyAppeak is excelent for beginners because you don't need cash to play! Are you a newbie? This one is for you! Appeak Poker is a great tool for learning how to adjust to the speed and style of online No-Limit Texas Holdem while at the same time chatting and making friends with players from all over the world. While play money is the only currency, you’ll see directly how your skills are developing by making your way up the leaderboard. You can play your way up to the top, or buy chips to get there faster. Cash games (players come and go from the table as they wish) and “sit-and-gos” (basically one-table tournaments that play until one person has all of the chips) are available at all different levels, depending on your preferences, and there are usually lots of active tables available. All the tables are listed in the lobby with info about the number of players seated and the buy-in for the table. Cash games and sit-and-gos are available in each of the categories and all tables are five-handed. The lowest buy-in for cash games is 80 and the highest 200,000. The cheapest sit-and go costs 400 to play in and the most expensive a massive 2,000,000! The lower limits get the most action, just like at the average online poker site, but Appeak Poker has quite a few high-rollers as well that frequent the big tables. It’s very easy to play and follow the game; everything is more or less self-explanatory and very much like playing on an online poker site (the rules of the game are of course included in the app). You can chat with other players and send friend requests to them if you want and next to each player you can see which country he or she is from. The level of competition differs a lot, as can be expected in play-money games. Big games tend to be a bit more serious and not the all-in bonanza you find at the “tiny” and “small” stakes. In general all games are fun with a friendly atmosphere, and of course it’s very nice to know that you’re actually playing against real people and not a computer. There’s also an Appeak Poker leaderboard with the 30 players who have collected the most chips in the game. It will be hard to start from scratch and play your way to the top of the leaderboard, but you can also buy up to 5,000,000 chips at a time if that kind of thing is important to you. Appeak Poker is a very nice app for the beginner Texas Hold’em player who wants to kill some time, have fun and learn how to get comfortable playing online poker. Intermediate and even more serious players will also be able to enjoy the Appeak app as there are some competitive games at the big stakes and it will definitely be a challenge to top the leaderboard. 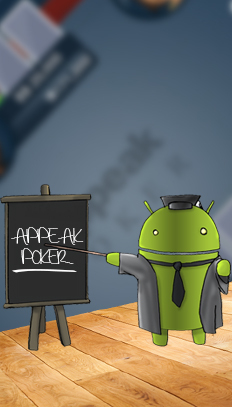 As a professional poker player I find Appeak Poker App to be a refreshing alternative to the major apps out there. 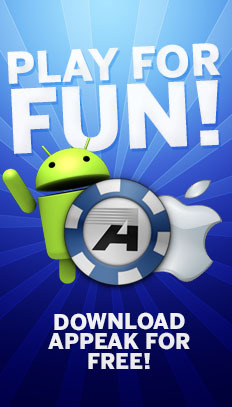 If you just want fun poker games right out of the box then this app is for you. I play appeak poker all the time when I have some spare minutes. It gets me going and relaxes me even after a hard day at work. 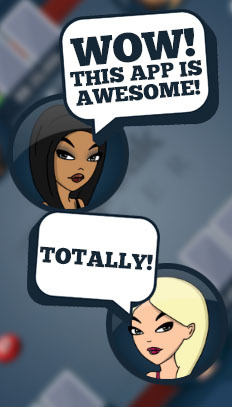 It's very fun and the great graphics and the super smooth experience really make it a top choice for anybody. As a beginner I started playing online poker with Appeak Poker App and I can definitely say it has worked like a charm. I know master the basics of poker, from the hands strenght to playing in position. It has really taught me a lot. Thank you! Appeak works excelent on iOS or Android. So, you are interested to get in touch with the Appeak Team? Great, we're here to help you! You can reach our team through Facebook. Just pop a message and one of our employees will get back to you as soon as possible. When writing a message to us, please make sure to include your player ID.